By the Association of Photographers, which one can use to help determine what the fee would be for the ‘Additional use’ of one’s work. 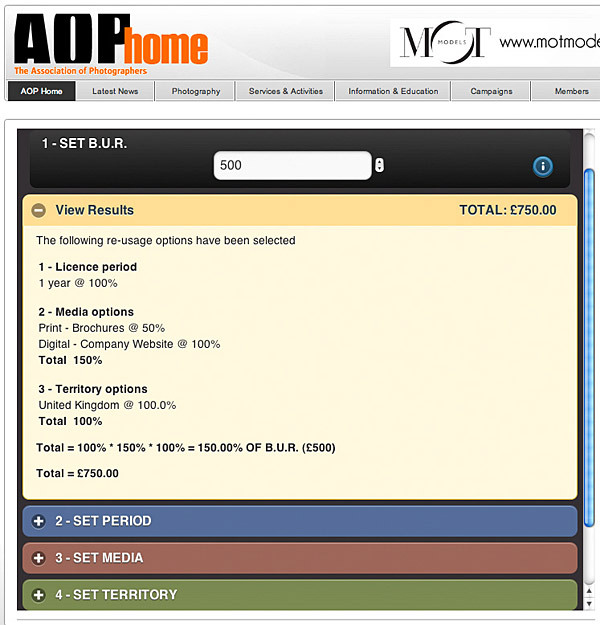 .. to help you determine what the additional (+%) fee would be, for that amount of ‘Additional use’ of your work. Very useful – so a big thanks to the Association of Photographers for this.